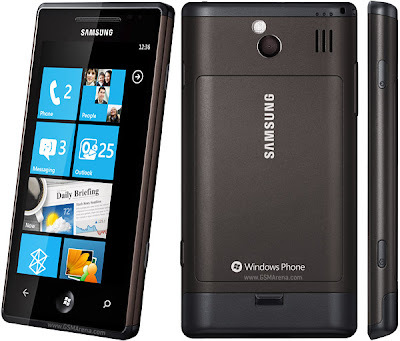 After the huge success of Samsung Galaxy Tab P1000, Samsung is again introducing its yet another Windows Phone 7 based Smartphone Samsung I8700 Omnia 7, Which experts think is Samsung one of the finest made Smartphone ever. With the Galaxy smart phone doing great business and the Galaxy Tab tablet out later this year, Samsung's invasion of the touch screen market is well and truly underway. 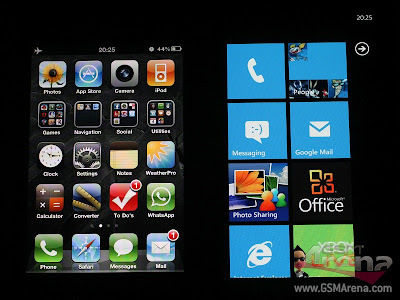 But it's not only the Android operating system that's tickling the South Korean tech giant's toes; the Omnia 7 GT-i8700 is the company's first handset to run Microsoft's shiny new Windows Phone 7 operating system. The Omnia 7 sports a pleasing square design. The edges are rounded, though, so the phone won't slice through any major arteries as it sits in your pocket. It feels quite large, but that's to be expected with the 4-inch Super AMOLED touchscreen this bad boy boasts. Samsung has done a good job of bringing the edge of the screen right up to the edge of the device, so there's no wasted space. The phone feels pleasingly light. While that's often a sign of compromised build quality, it doesn't seem to be the case with the Omnia 7. That display has a resolution of 800x480 pixels, and it's rather spiffy. Super AMOLED displays are always divisive -- some people think they look too garish and bright. That's something you'll have to make up your own mind about. One of the Omnia 7's most interesting features is a 1GHz Qualcomm QSD8250 processor. 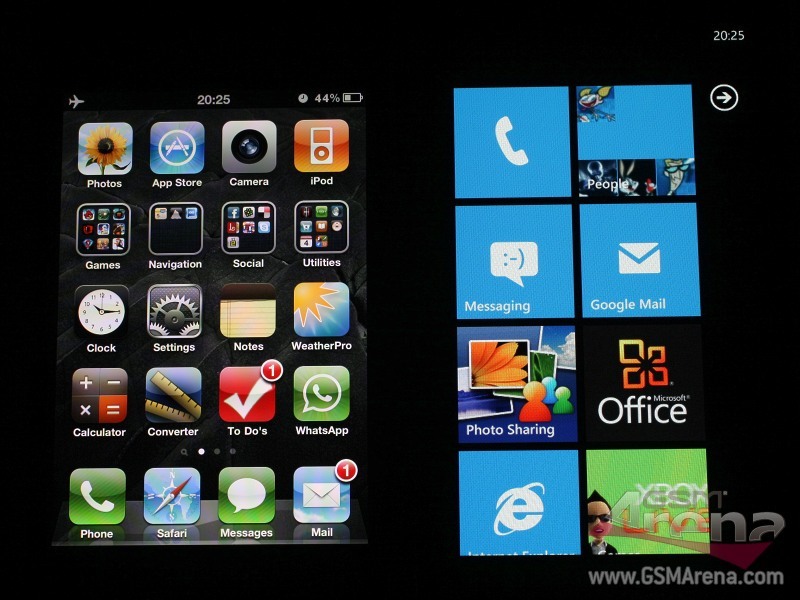 It should give the phone plenty of speed, and, indeed, we noticed the Windows Phone 7 interface moving extremely swiftly and fluidly. This processor will also come in handy when playing games, for example. Around the back, you'll find a 5-megapixel camera, which, as well as handling your snaps, is capable of shooting 720p video footage. These kinds of specs are par for the course when it comes to high-end smart phones these days. The Windows Phone 7 operating system looks really cool, and the Samsung Omnia 7 GT-i8700 looks like a tasty piece of kit. If we have any early complaints, it's that there doesn't seem to be much that distinguishes the Omnia 7 from the rest of the pack.